MaryFran Simply...: Birthday Cards Everywhere! Happy Winter Morning! Wisconsin is a bit brisk, but 30 degrees is welcome. 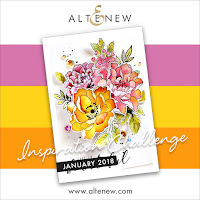 I'm posting one of three posts for the Altenew Inspiration Challenge today. 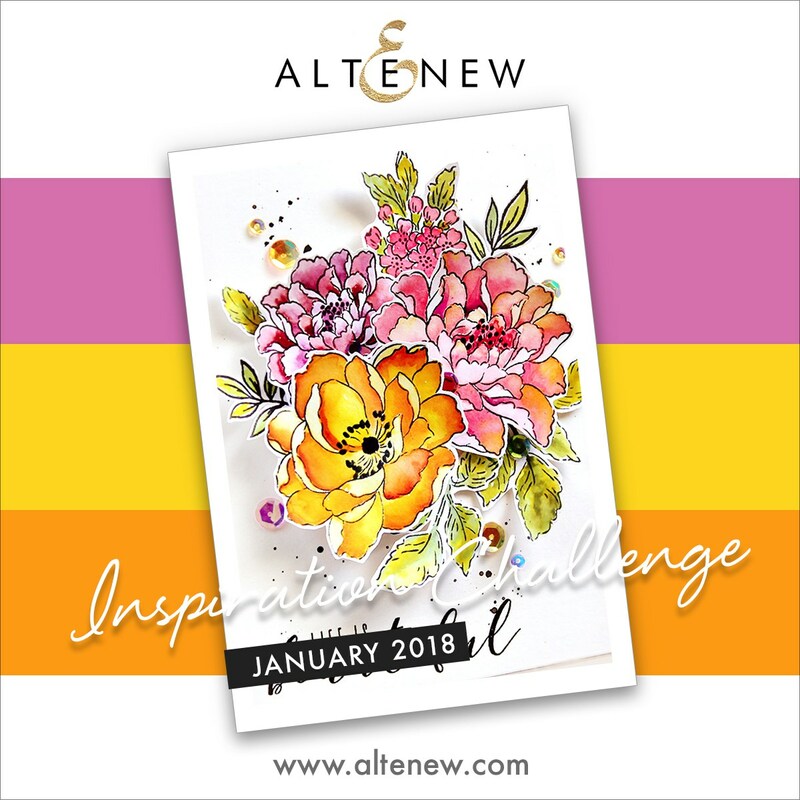 I wasn't quite sure exactly how I wanted to approach this so I kept playing with the color combinations required this month and decided to submit all three. 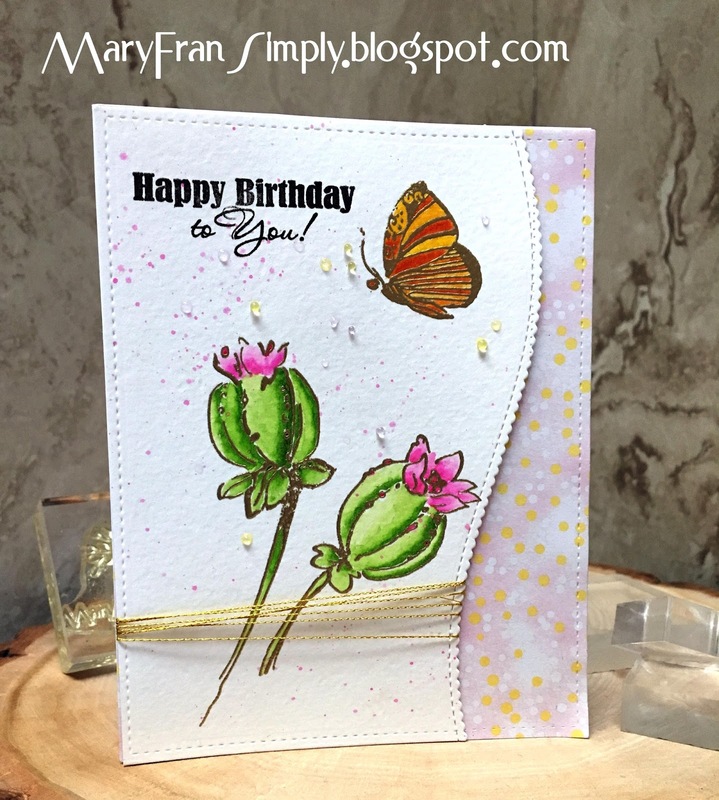 The first A2 card I created utilized the Altenew Botanical Garden stamp set and I really like the lines on this set. I stumbled along the way but embossed and watercolored the images, stamped the sentiment, splattered and scattered some gold Nuvo jewel drops. Lastly, I tried using a different die cut and it moved because I forgot to tape it down, so I used to die cut that actually cut out the messed up area...I then die cut the remaining panel with a stitched rectangle to set it off. I used some patterned paper that fit with the color schemed and tied the lower panel with some gold thread I had in my stash. I adhered everything together and fit it to the card base. Thank you for reading this far (-: The materials used are listed below.